Kaspersky Rescue Disk позволяет более эффективно справляться с вирусами, так как данный диск не требует загрузки Windows, а следовательно вредоносные программы будут бездействовать. Для борьбы с программами-вымогателями специалисты Лаборатории Касперского разработали специальную утилиту Kaspersky WindowsUnlocker. Утилита запускается при загрузке компьютера с Kaspersky Rescue Disk 10 и позволяет работать как в графическом режиме загрузки Kaspersky Rescue Disk, так и в текстовом. Kaspersky Rescue Disk is a free and safe program to remove viruses from a computer without the risk of getting infected! 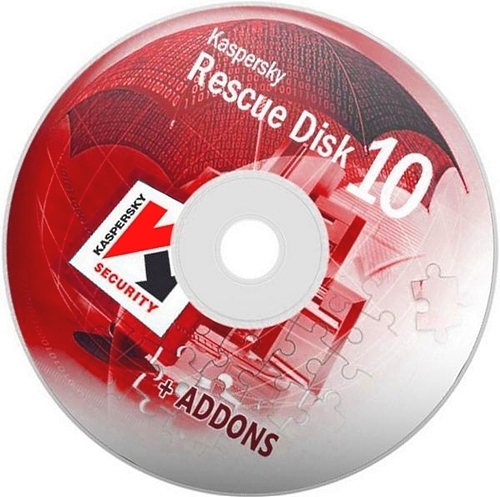 Kaspersky Rescue Disk is designed to scan and disinfect x86 and x64 compatible computers that have been infected. The application should be used when the infection is so severe that it is impossible to disinfect the computer using anti-virus applications or malware removal utilities (such as Kaspersky Virus Removal Tool) running under the operating system. In this case, disinfection is more efficient because malware programs do not gain control when the operating system is being loaded. In the emergency repair mode, you can only start objects scan tasks, update databases roll back updates and view statistics. Boot from the Kaspersky Rescue Disk to scan and remove threats from an infected PC without the risk of infecting other files or computers. Burn this ISO image to a CD, insert it into the infected systems CD-ROM drive, enter the PC s BIOS, set it to boot from the CD and reboot the PC.